A man sets out on a perilous journey to rescue his beautiful bride from the evil Crow King. What strength and courage does a mere mortal need to overthrow the merciless demon? 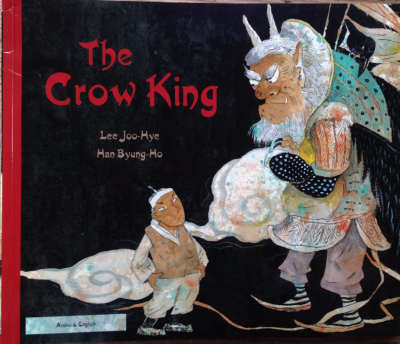 A timeless fable from Korea about the fight between good and evil. Written by Lee Joo-Hye with illustrations by Han Byung-Ho. Retold in English by Enebor Attard with Arabic translation by Wafa' Tarnowska. Published by Mantra Lingua in 2005. Fables have always shown us the fundamental truths of human nature. Containing Aesops' 'The Fox and the Crane' and the Chinese fable 'King of the Forest' these stories are wonderfully brought to life by magical illustrations and lively read-alone text. 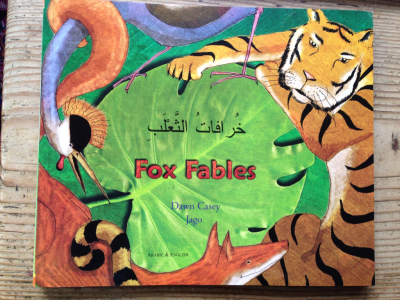 Retold by Dawn Casey with illustrations by Jago, the Arabic translation is by Wafa' Tarnowska. Published by Mantra Lingua in 2006. 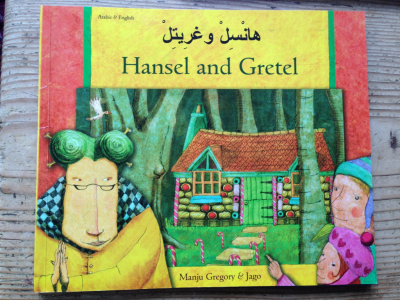 At a time of a great and terrible famine, Hansel and Gretel are abandoned in the woods by their parents. Lost and hungry, they find a magical house made of sweets and cakes. But when they take their first bite a strange woman with blood-red eyes invites them in... This Grimm's tale is retold in English by Manju Gregory with illustrations by Jago. The Arabic translation is by Wafa' Tarnowska. Published by Mantra Lingua in 2005. "A beautiful book... Chardin would not be ashamed of the hare that leaps across the pages, leaving a decorative tangle of animals in his path. The tortoise is handsome too, worthy of this spirited new version of the story." 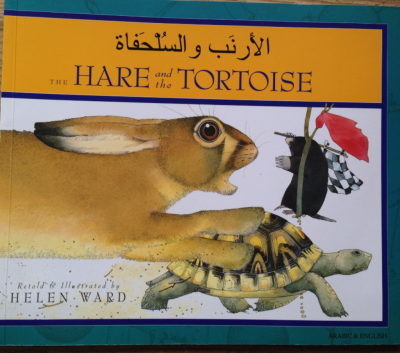 The Observer (Kate Kellaway) Retold and Illustrated by Helena Ward with Arabic translation by Wafa' Tarnowska. Published by Mantra Lingua in 2005. Hand-in-hand with the moon, a young boy goes on a magical journey across an enchanted landscape. 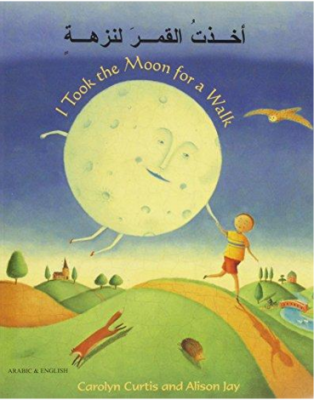 'I Took the Moon for a Walk' combines lyrical verse and detailed illustrations in a whimsical tale perfect for bedtime reading where children discover many facts about the passage of the moon across the sky and its influence on our lives. With the English verse by Carolyn Curtis and illustrations by Alison Jay. Arabic translation by Wafa' Tarnowska. Published by Mantra Lingua in 2005. The jungle animals have spent days practising for Sports Day. But not everyone is taking part. Poor Sloth is too slow and, as Monkey keeps reminding him, there are no prizes for hanging around. There might not be a race for Sloth but he becomes the jungle's unlikely hero when he saves Sports Day from disaster and teaches Monkey an important lesson. 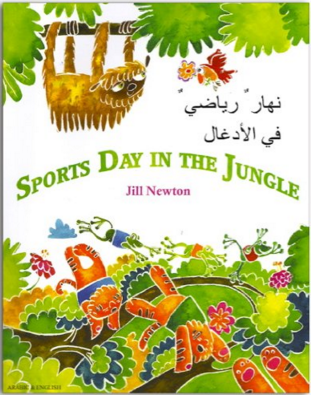 Written by Jill Newton with Arabic translation by Wafa' Tarnowska. Published by Mantra Lingua in 2010. 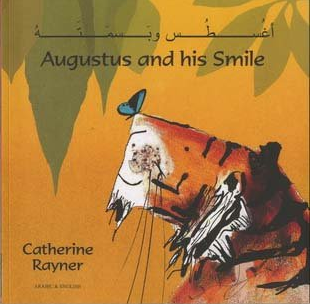 Augustus the tiger has lost his smile so he sets out to find it and begins a journey that takes him all over the world through dense jungles, arid deserts, and deep oceans. By the time his journey finally comes to an end, Augustus realises that he will never be without his smile again. Written by Catherine Rayner with Arabic translation by Wafa' Tarnowska. Published by Mantra Lingua in 2008. Instead of a fairy godmother, a magical red fish grants Yeh-hsien her dearest wish – to go to the Spring Festival. 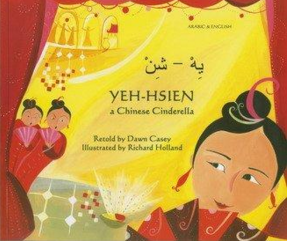 When Yeh-hsien loses her slipper, the king searches all over the land looking for the woman who fits the tiny golden shoe.... Retold by Dawn Casey with illustrations by Richard Holland. Arabic translation by Wafa' Tarnowska. Published by Mantra Lingua in 2006. Mimi misses her grandma. Every day something reminds her of grandma's special Saturday Soup and the tales her grandma tells of Jamaica. 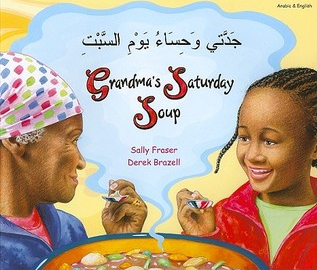 Written by Sally Fraser with illustrations by Derek Brazell. Arabic translation by Wafa' Tarnowska. Published by Mantra Lingua in 2005. 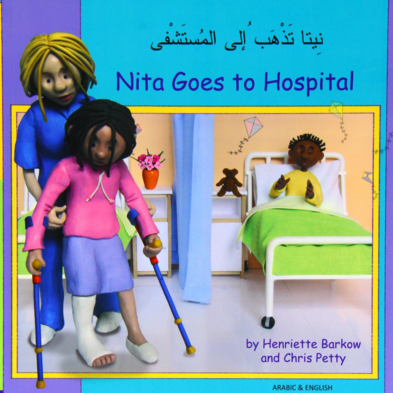 Nita breaks her leg and needs to be brave when she is taken to hospital. Petty's beautifully made models in plasticine will help to ease children's fears and prepare them for their first hospital visit. Written by Henriette Barkow with illustrations by Chris Petty. Arabic translation by Wafa' Tarnowska. Published by Mantra Lingua in 2005.